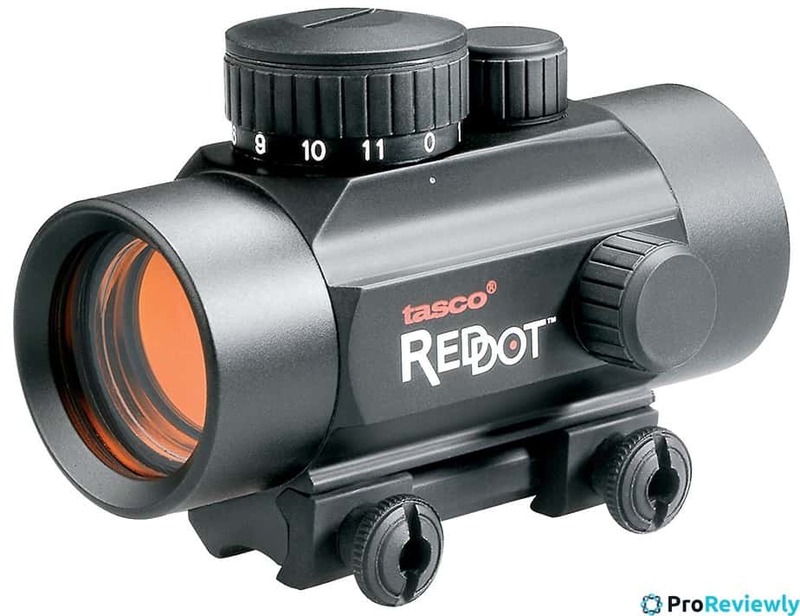 Many companies out there are fighting for their top spot on a red dot reflex sight review. Some companies stand out from the others by offering a good quality product, ensuring customer satisfaction and being the best at what they do. Here are some of the best companies along with the best sights that dominate the top of many red dot reflex sight reviews. The company is known for supplying sturdy and reliable equipment. Moreover, their position as one of the top companies is cemented by numerous appearances in reflex sight reviews. According to most reviewers, one of their most popular reflex sights happens to be the Dagger Defense Reflex Sight. Dagger Defense has tried to set itself apart by making a reflex sight out of premium aircraft-grade aluminum. This allows the sight to be super durable while being very light. The sight also offers options for up to four different reticles in two different colors. Dagger Defense has ensured that their customers are pleased even when out under the brightness of the sun by implementing a bright, crisp reticle that will not lose its zero even after several hundred rounds. Finally, Dagger Defense ensures customer satisfaction by giving them a one year warranty on all Dagger Defense products. Burris offers a massive collection of binoculars, scopes, riflescopes, reticles, and mounting systems. Their site is very comprehensive, offering detailed guides on some of their weapons, answers to a lot of questions their customers may have and even a section dedicated to promotional offers on some of their products. Moreover, they host instructions for solving some of the more common problems that might arise when operating scopes and sights. And if that does not work out, they provide customer care contacts and repair contacts. In addition to being very informative, they deliver products to match their dedication. Often, one of their reflex sights, the Burris Fastfire Red Dot Reflex Sight, will be sitting somewhere in the top of a red dot reflex sight review. And rightfully so. The sight sets itself apart by performing at a speed unmatched by many of its competitors. The sight works in such a way, that you do not need to align front and rear sights. You can just aim, the red dot will tell you where the bullet will hit, and then you just shoot. Additionally, the sight is quite small. This is done without any compromises being made to the build quality. The sight is very durable and sturdy. Although mounting and zeroing the sight is a bit more difficult than some of the other sights, the Burris Fastfire delivers in performance and longevity. Back in 1972, the Michigan State Legislature started a non-profit research institution. This institution was later renamed to Environmental Research Institute of Michigan or ERIM. Almost two decades later, in an attempt to commercialize ERIM technology, ERIM formed the Michigan Development Corporation (MDC) in addition to other companies. A couple of more years later, the MDC created EOTech as a subsidiary of ERIM. About a decade later, EOTech was acquired by L-3. Throughout the company’s long history, they have been a cornerstone of development. Back in 1996, they introduced the first generation of Holographic Weapon Sight. The sight was designed to increase target accuracy and the speed of the target acquisition and was intended for hunting and sport shooting purposes. A little way down the road, in 2000, EOTech introduced the second generation of HWS that was far more compact and boasted a modular design aimed at hitting the military and law enforcement market. To this day, the company produces some of the best sights on the market. This is apparent given that one of their most popular products, the EOTech Tactical Holographic Weapon Sight, is at the top of red dot reflect sight reviews. The sight is designed for high-speed combat and versatility. The sight is perfect for fast target acquisition. With respect to its versatility, the sight allows for brightness adjustments. Although you will not be able to use this sight in complete darkness, it does come in handy in almost all other situations. Moreover, the sight does not have any parallax or eye relief so, you will not have to worry about pointing the reticle too precisely. Finally, it has a great battery life that should serve you well for a long time. Due to its popularity, there are a lot of counterfeits in the market. You should be careful when purchasing a sight. The EOTech website has various ways that you can spot a counterfeit and protect yourself from fake products. Ohuhu is host to millions of everyday life products of top quality. One of those products is their Red and Green Reflex Sight. Whenever you go out looking for red dot reflex sight reviews, this sight is sure to be somewhere near the top. Although the company is diverse, they are delivering one of the cheapest and best experiences in terms of a proper reflex sight. This sight has an open, tubeless design that is perfect for shooting at mobile targets or firing multiple targets. In addition to this, it offers flexibility by offering four reticles styles in two colors. Finally, the sight is parallax correct, has unlimited eye relief, and as a great feature, is waterproof, thereby making it a top contender in those red dot reflex sight reviews. ​These are few of the most popular names for reflex sights. However, there are other brands who manufacture reflex sights of different price, range, and design. I’ll talk about them some other time.